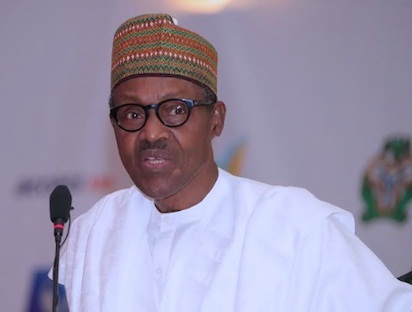 An Islamic Non-Governmental Organization (NGO), Al-Habibiyyah Islamic Society has thrown its weight behind the Federal Government’s anti-corruption war with a call on other religious organization to follow suit. The Executive Director of the organization, Imam Adeyemi Fuad stated this on Friday in Birnin-Kebbi while addressing Islamic groups in Kebbi. Fuad said that the organization through its anti-corruption NGO, the Just Foundation was out to solicit support of other Islamic groups, religious leaders, Imams and scholars across the country on how to preach against corruption. “Why are we poor today? It is because of corruption that has eaten deep into all sectors in our society. The money that is supposed to be used for the development of our nation, has gone into individual pockets for personal benefits,” he said. He explained that Al-Habibiyyah Islamic Society activities cut across education, public preaching, mosque projects and other Islamic activities. Fuad said that the Just foundation was specifically established to promote good governance, anti-corruption, gender and human rights advocacy in the country. “The last Zakat we disbursed was about N10 million which was also extended to Christians who deserve it. Many of those who received Zakat from our foundation used it to build their houses,” he added. He said that the foundation in collaboration with the MacArthur Foundation had started implementing a project tagged “Encouraging Accountability and Transparency through Faith -based intervention (EAT-FIn)” in states across the country. The Amira, Federation of Women Muslim Association of Nigeria (FOWMAN) in Kebbi, Hajiya Fatima Nassarawa in her remarks promised to partner with the foundation to ensure good governance in the state.